Istanbul has been on Maltese travellers’ radar for some time now, and not without reason. No other destination, perhaps, offers to take you so far from home so close to home, to draw you in with its familiarity and excite you with its difference. Straddling two continents and for millennia a meeting point of east and west, it is an exhilarating and often contradictory city where your walking route will take you from centuries-old mosques to shopping boulevards, from traditional tea gardens to swanky cocktail bars, and from the call of the muezzin to the bustle of a modern metropolis. With the rise of the city as an air transit hub – the new Istanbul Airport is set to be the world’s largest and Turkish Airlines’ ambitions have been set broadly to globe-conquering – your chances of passing through on the way to pretty much anywhere else are always on the up. So if you’ve got a few hours or a few days, here’s how to make the most of them. Istanbul is considerate enough to group its most striking historical sites around one large square, so make your way to Sultanahmet, the heart of the old city, and start by delving underground to the stunning Basilica Cistern. Hundreds of cisterns lie beneath the city, but nothing matches the grandeur and of this cathedral-sized sixth-century masterpiece. The cistern has an eerie beauty, its forest of columns soaring above your head and ghostly koi traversing the water beneath the wooden walkways. Bizarre, and largely unexplained, Medusa heads stare out from the base of two of the columns, an element of creepiness to balance out the kitsch of the somewhat more modern Ottoman-costume photo booth. Seconds away once you head back above ground is the one of the city’s most famous sights, the Hagia Sophia, a church that became a mosque that became a museum. Built in 537AD, the monumental basilica was for a thousand years the largest enclosed space in the world and today features vestiges of its various historical identities: mosaics, Islamic calligraphy, prayer pulpits and royal galleries – as well as, at last check, a resident cat who tour guides will be quick to tell you was once photographed with Barack Obama. Up a stone ramp are viewing points where the noise of the crowd becomes an almost mystic hum in the vast space. Try to find the ancient Nordic runes carved into the stone; when finally deciphered, they revealed the profound message “Halfdan wrote this”. Across the square is the grand 17th-century Sultan Ahmet Mosque, more commonly known as the Blue Mosque, with its towering minarets and sprawling domes concealing the hand-painted blue tile interior that gives it its sobriquet. This is an active mosque, so dress appropriately and take note of prayer times, but its sweeping architecture, with intricate stained-glass windows and chandeliers overhanging the worship area are more than enough reward for venturing in. Having worked up an appetite, you can do worse than the nearby Sultanahmet Köftecisi: hardly a hidden gem as the queue outside will attest, but the low-key family-run eatery has been serving up delicious köfte (meatballs) – with the very hit-and-miss yoghurt drink Ayran – since 1920, and does it well. Food is a big part of this city’s draw, and this is as good a place as any for a taste of its traditional side. Keep an eye out too for the coffee and tea houses that dot the side streets: Turkish coffee and Turkish tea are both likely to ruin you for other beverages. A last stop on the historical tour is Topkapı Palace, a vast complex which housed the Ottoman sultans – including a certain Suleiman – for 400 years. This was the administrative heart of one of history’s greatest empires, and it’s easy to spend hours wandering the palace, from the opulent pavilions and courtyards themselves, to the peaceful gardens and magnificent views of the Bosphorus, to the historical artefacts and weaponry that makes up the display. Discipline is called for if time is pressing or if the sight-seeing has got a bit much. A quick stop at the Grand Bazaar is one of those things to say you’ve done if this is a flying visit. With a second day at your disposal, feel free to take this labyrinthine, monstrously-busy covered market more leisurely. In truth, the atmosphere is more worth your time than the shopping, which is largely the Turkish Delight, vacuum-packed teas and tourist that you’ll find anywhere else. But the assault on the senses of the 61 covered streets and more than 4,000 shops, built shortly after the conquest of Constantinople, is hard to overstate. You will almost inevitably get lost, so take note of the gate you entered from, and stop for a cup of tea if you need the pause. If you’re after a more contained experience, try the Spice Bazaar instead: there’s jewellery and scarves alongside the spices and sweets that are the main focus, a smidge more of a local feel, and just two streets this time, recently the subject of a wonderful restoration project. 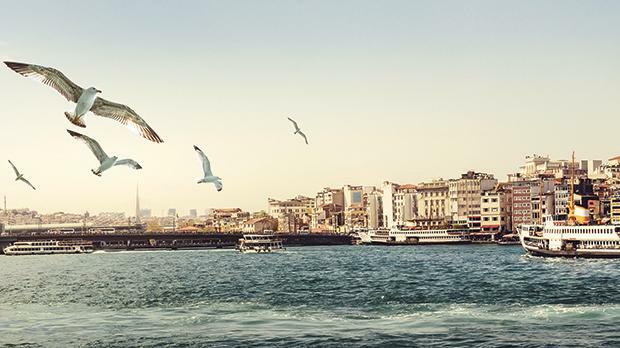 From there, it’s just minutes to the Galata Bridge, which spans the Golden Horn, broadly dividing old Istanbul from new. The bridge occupies a unique place in Turkish cultural consciousness and it’s stunning at sunset, but the city rising on its famous hill behind and ahead of you on both sides of the water is always a picture. Keep an eye out for the boats lining the quay selling delicious fish sandwiches. With time on your hands, grab a table with the locals and watch the comings and goings on the busy thoroughfare. Across the bridge you come to Beyoğlu, cosmopolitan Istanbul’s beating heart and a haven of new art, nightlife, shopping and entertainment. If the supposed must-dos haven’t worn you down, there’s still the option of the medieval Galata Tower – a remnant of the area’s Genoese merchant past – which you’ll see peering out over the buildings above you, where the viewing platform offers quite spectacular 360-degree views out over the city. Otherwise, head right up to the busy Taksim Square, which you may know as the site of the 2013 Gezi protests, and from there wander down the Istiklal Caddesi, a perennially pulsing artery popular with locals and tourists, lined with everything from high-fashion stores to charming little bookshops, cafés, street performers and the only-slightly-irritating ice cream showmen you’ve probably seen a video of on YouTube. Spot, or take a short ride on, the old funicular rail: with its underground stretch, it’s the second oldest subterranean rail system in the world, after the London Underground. As afternoon turns to evening, there’s countless spots here for a final meal, from high-class restaurants to rowdier taverns or meyhanes flowing with raki, meze and live music. Vibrant bars spill out on to the alleyways snaking off the main street if you’re looking to end the night with a few beers and a shisha pipe (nargile), or scope out one of the many rooftop lounges to kick back and savour some great views at the end of your trip. 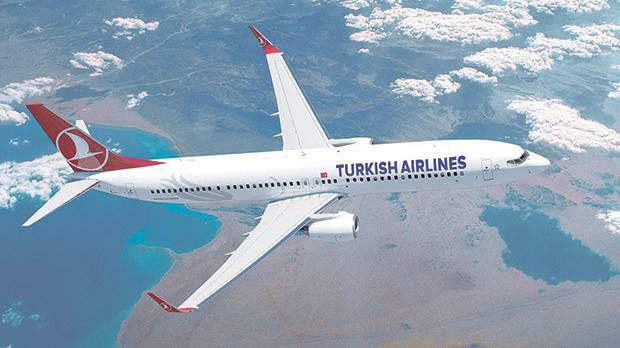 Getting there: Turkish Airlines (www.turkishairlines.com) operates 14 weekly flights direct flights between Malta and Istanbul, connecting to a global network of 304 destinations across five continents.